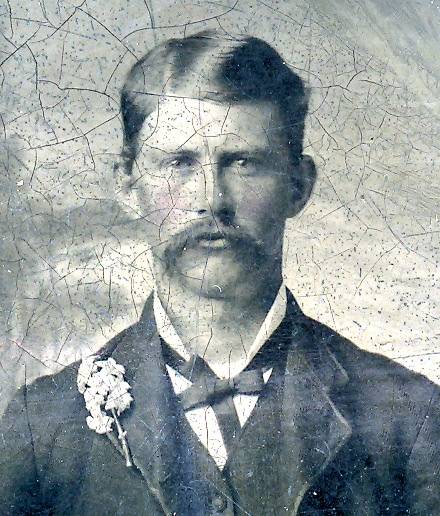 Edmond Daniel Thomas Wooldridge was born on 31 May 1854 in Danville, Montgomery County, Texas. Samuel Dunbar Wooldridge and Catherine Elizabeth McCan appeared in the US federal census of 1 June 1860 in Montgomery County, Texas. Other members of the household included Edmond Daniel Thomas Wooldridge, John Houston Dunbar Wooldridge and J. W. B. Thomason. Samuel Dunbar Wooldridge and Catherine Elizabeth McCan appeared in the US federal census of 1 June 1870 in Danville, Montgomery County, Texas. Other members of the household included Edmond Daniel Thomas Wooldridge, John Houston Dunbar Wooldridge and Maude E. Wooldridge. Also in the household was a domestic servant and her family. He married Nellie Waters on 5 August 1879. He and Nellie Waters were divorced in 1885. He married Kate Cook, daughter of John Pearson Cook and Anna P. Goodson, on 7 June 1887. Edmond Daniel Thomas Wooldridge and Kate Cook appeared in the US federal census of 1 June 1900 in Willis, Montgomery County, Texas. Other members of the household included Beulah Louise Wooldridge, Edmond Cook Wooldridge, Anne Velma Wooldridge and Minnie Katherine Wooldridge. A photographic portrait of Kate Cook and Edmond Daniel Thomas Wooldridge. Edmond Daniel Thomas Wooldridge died on 20 October 1926 at age 72 in Conroe, Montgomery County, Texas. His wife Kate Cook became a widow at his death. He was interred at Willis Cemetery, Willis, Montgomery County, Texas. Photographs used with permission, from the collection of F. Carlton Cranor, descendant of Dr. Samuel D. Wooldridge.